Bye Bye Samsung, its Nokia vs Apple now! Nokia is clearly not wishing Apple a happy holiday season. The Finnish company has filed lawsuits in both the US and Europe against the Cupertino, California home of the iPhone, iPad and MacBook Pro. The company claims Apple is using 32 of its patents in its devices without Nokia’s permission and is not paying the required royalties for their use. Nokia sold off its smartphone division to Microsoft in 2014, but that company has since shut down or sold off nearly all of those assets. 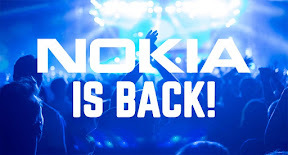 However, Nokia still holds claim to thousands of patents under its Nokia Technologies division, which it says are being used in many smartphones, tablets and other products. In today’s press release announcing the lawsuits, the company stated Apple did agree to pay for the use of some of its patents in 2011. However, it added that since then the company has been trying to get Apple to pay for the use of other patents it controls for the past few years. Those talks apparently went nowhere, so the company felt it needed to take its dispute to the court system. Nokia stated the patents that it claims Apple is using, but not paying for, include ones relating to “display, user interface, software, antenna, chipsets and video coding.” So far, Apple has yet to officially respond to Nokia’s accusations. This new legal battle comes to light as the Nokia brand is slated to return to the smartphone market in 2017. The company has licensed its name to HMD Global, who will be launching smartphones with the Nokia brand in the first half of the new year.